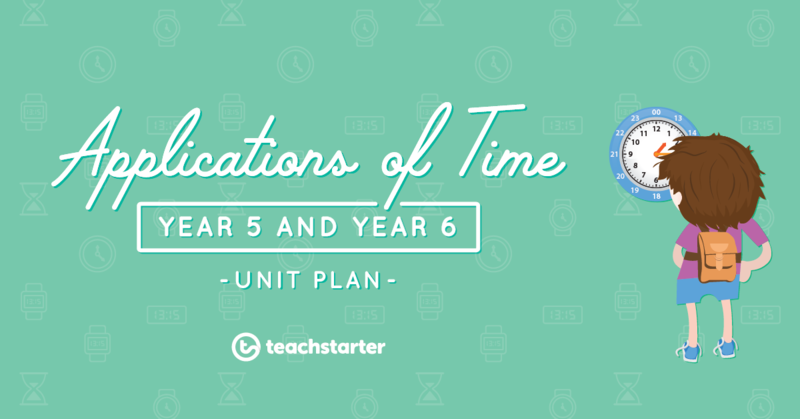 Teaching Time to Year 3 and 4 | Printable Unit Plan and Resources! Teaching time is something that lends itself to the facilitation of pretty engaging, hands-on learning experiences. Although, planning and preparing said engaging learning experiences is, ironically, extremely time-consuming! That’s where our fantastic full unit plans come in. 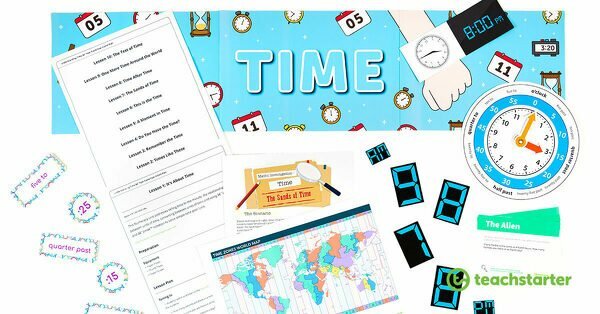 Understanding Time – Year 3 and Year 4 is the newest in our growing collection of printable unit and lesson plans, though you can also access a complete unit to teach time to Year 1 and 2 students, as well as a time unit for Year 5 and 6. We all know how long it takes to plan a full unit. Not only writing the lesson plans and assessment task, but also creating the resources for each of the learning experiences we’d like to do. 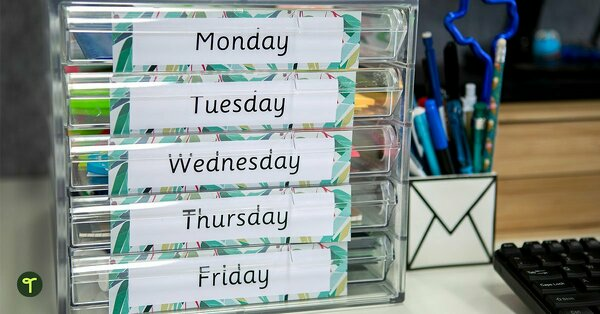 Often, the full unit planning that we practiced so much at university falls to the wayside and we just get by one week at a time until the end of the unit! 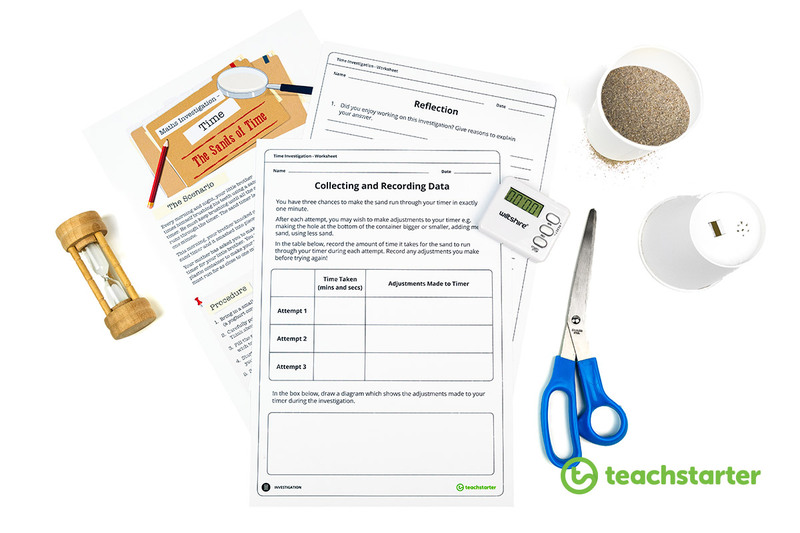 Each year we refine our approach to teaching that particular topic and eventually, we’ll have a folder with our go-to activities and resources. 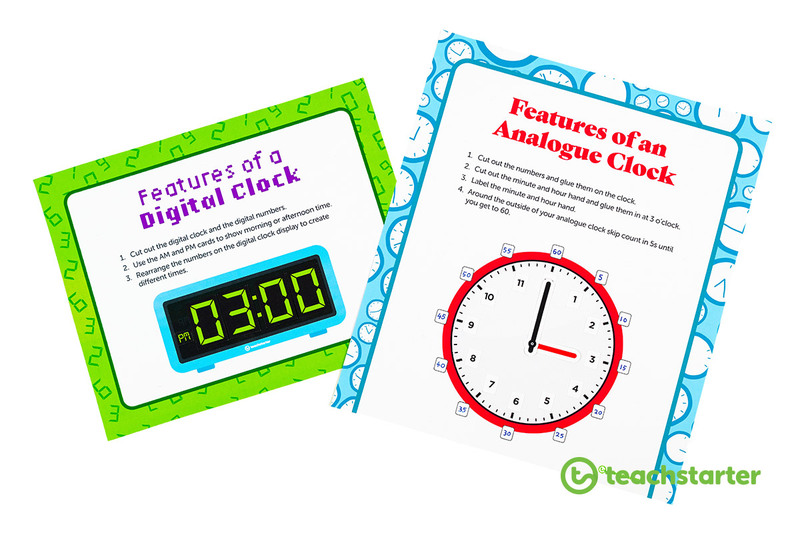 How cute are these Clock-Themed Printable Clock Labels? Well, therein lies the beauty of all of our full, curriculum-aligned unit plans. Our experienced primary teachers have completed the planning for you. And, backed up by a team of professional graphic designers and illustrators, the resources for each activity are awesome! Altogether this means you save a huge amount of planning time and can still deliver a high-standard unit. Before beginning the unit we suggest you create a display that features the key information your students will be engaging with. 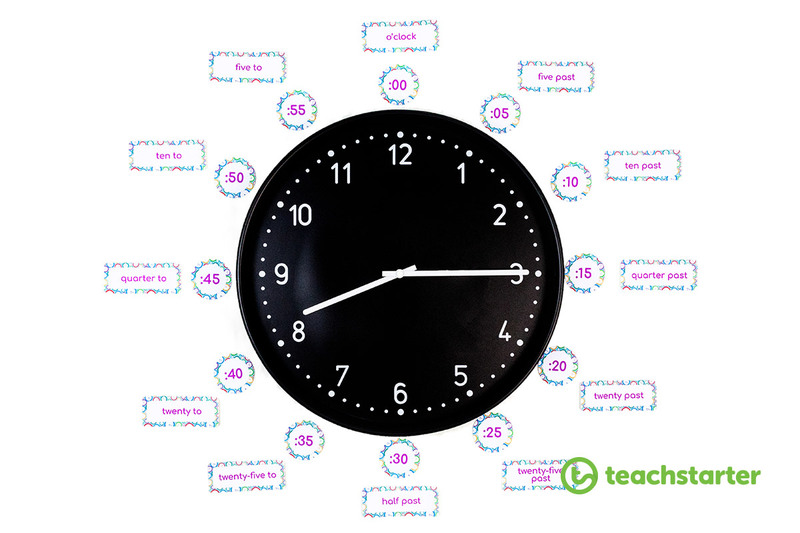 You can do that using some of the resources contained in the download, or by searching “time” on the Teach Starter website to find additional resources. Many lessons begin with a video or PowerPoint presentation. These are a great ‘hook’ for your students to help engage them in the lesson’s content. Each of the lesson plans will direct you to specific learning experiences and activities for students. 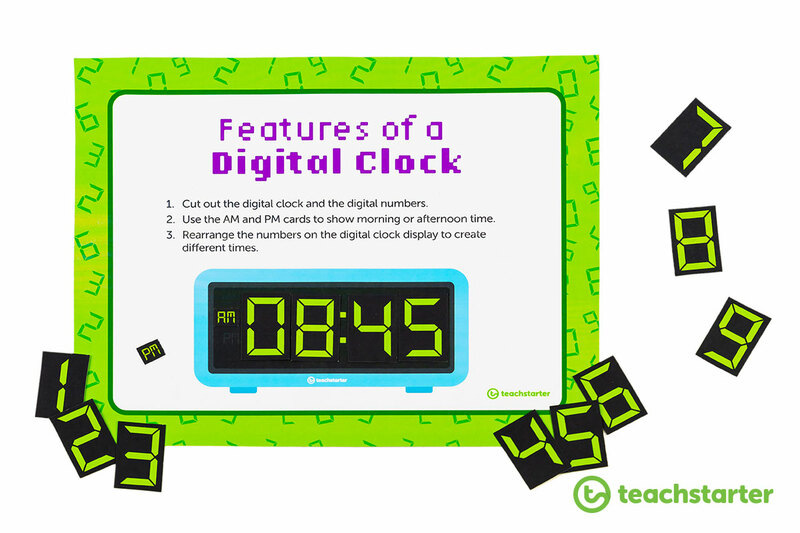 These include hands-on activities and games, such as learning about the features of analogue clocks, the features of digital clocks, and playing with time-themed dominoes. Open-ended investigations, such as the Sands of Time Mathematics Investigation ensure that students are provided with the opportunity to consolidate and extend their learning in a way that is aligned with unit objectives AND is exciting and engaging! In this unit, these Time Unit Conversions Task Cards are another way to consolidate learning and help students demonstrate their understanding. Sometimes used during a planned lesson activity, task cards are a fantastic addition to any unit as they can also be used in other ways. When providing students with work for home, you can send home one or more of these task cards for students to choose from as their ‘homework’ activity. 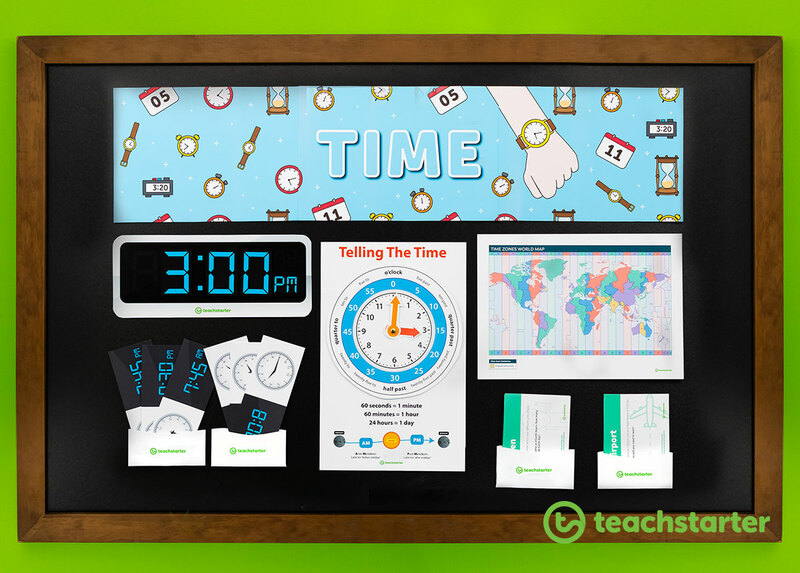 You could also include the task cards in a small pocket within your Time-themed classroom display for students to access as a fast-finisher activity during class time. There are always times when students benefit from the kind of focused practice and application of knowledge required by completing a worksheet. Happily, for them (and you!) the worksheets contained in our unit plans are designed with that exact intent and are not just a worksheet for the sake of a worksheet. 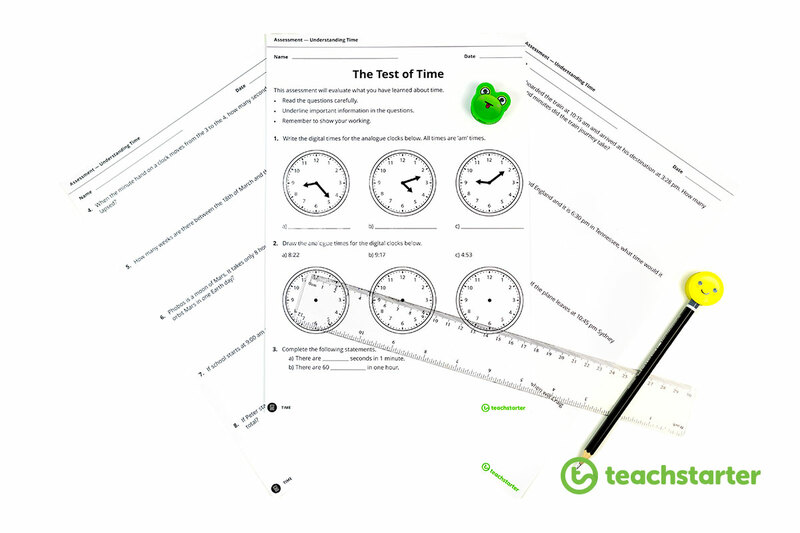 Complemented by beautifully designed resources, our time worksheets are another great part of the complete unit plan. 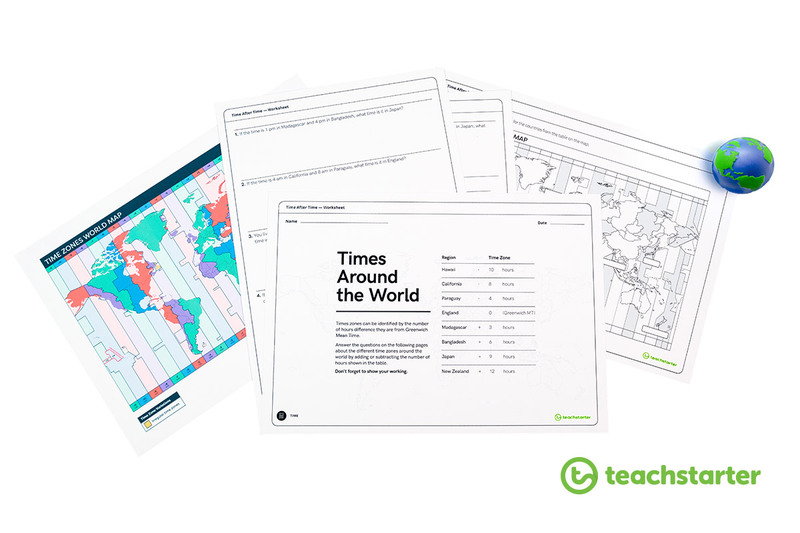 This Time After Time Worksheet and its complementary Time Zones World Map are a fantastic example of this! 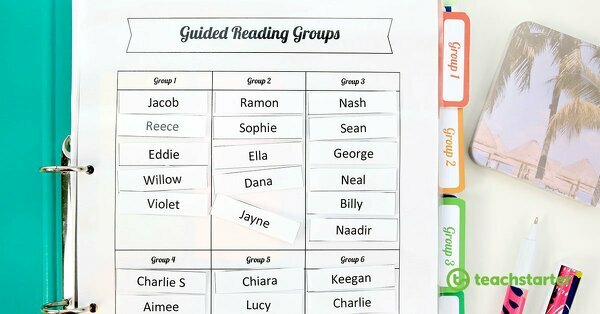 Each unit also contains a task that can be used for assessment. 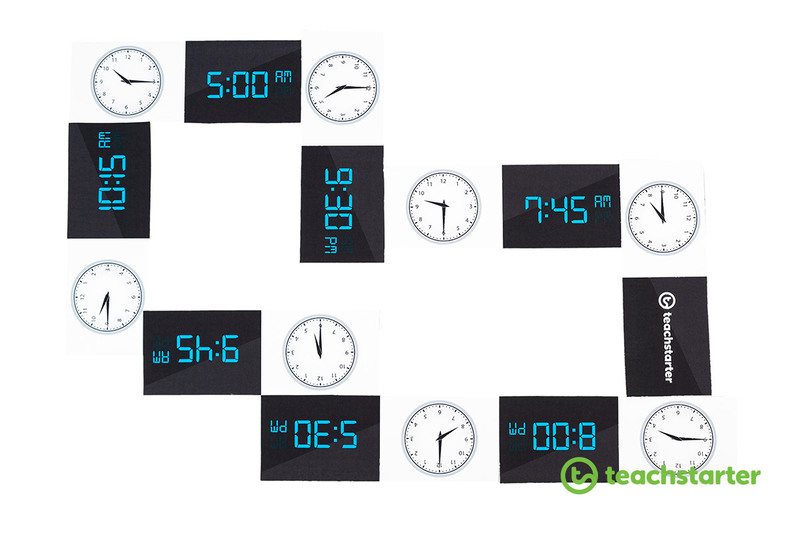 In the Year 3 and 4 Understanding Time Unit, this task is the Test of Time Worksheet. We don’t currently provide rubrics for our assessment tasks as all schools are extremely different in the manner in which student understanding is assessed, recorded and reported. This makes it extremely hard to create a rubric that would suit everyone! However, we don’t want to leave you in the lurch and do have a comprehensive set of assessment trackers linked to the Australian Curriculum which can help you to monitor student progress. Keen to get into this amazing download?! 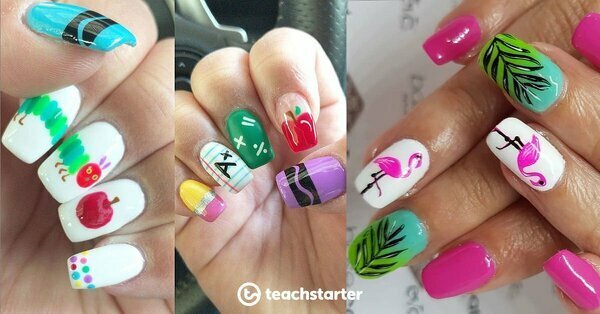 You can access any of our full unit plans with an Ultimate Teach Starter Membership. Don’t forget, any of your friends who have a current membership will have their own discount code you can use for 20% off your own new membership! 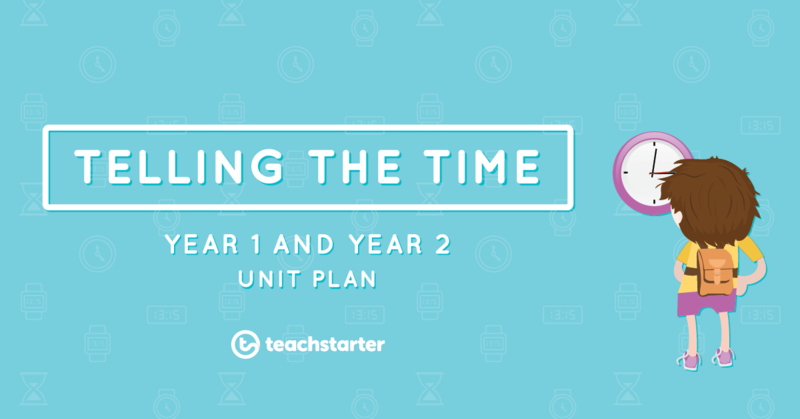 Our complete, printable unit plans take a lot of time and work, from multiple members of the Teach Starter team. Rest assured though, at every moment in time there is a new unit plan in the works! If there is a unit of work that you would love to see ‘Teach Starter-ified’, make sure to tell us via the Request a Resource section of our website. Resource requests that are voted to the top of the list are selected by our team to be created for you and the rest of the Teach Starter community! 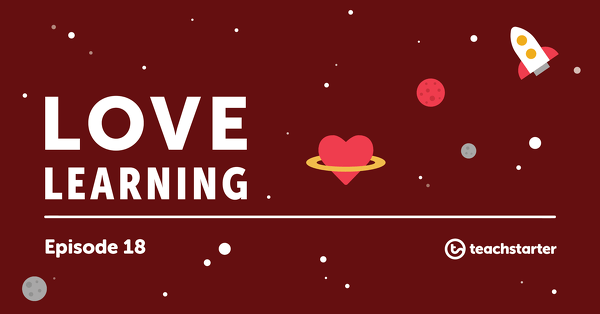 Until then, you can take a look through our current collection of printable unit and lesson plans.